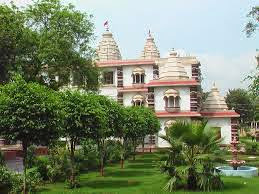 Here is Some information about Govind Dev Ji Temple in Jaipur Rajasthan india. 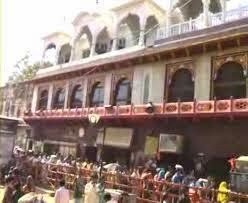 Govind Dev ji Temple is located in Jaipur pink city.Govind Dev ji temple is Dedicated to Lord krishna.Govind das ji temple is highly revered by the erstwhile royal family. 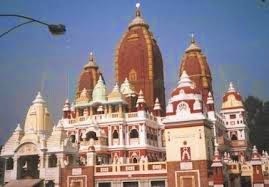 The image brought from Vrindavan, is housed within the sanctum of this spire less temple, the patron deity of the royal family is very religiously worshipped by most of the Hindus in the city and near by areas. The image is unveiled seven times daily for 'Aartis' and Bhoges offered in the silver wares, consisting of sweets mostly. 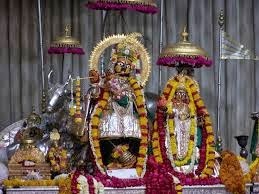 The idols of Radha Krishna are dressed in different styles each time for the 'Aarti' procession where thousands of followers or 'Bhakt' gather around the courtyard for the Darshan. According to a legend, Govind Dev Ji appeared in the dream of Raja Sawai Jai Singh and asked him to bring his idol from Vrindavan to Jaipur. As a consequence, Raja Sawai Jai Singh brought the idol and placed in the City Palace complex of Jaipur. After the sad demise of Jai Singh, many successors acquired the throne, but Raja Man Singh took the initiative to build the temple in 1890. The beautiful image of Radha-Krishna doesn't let people to take off their eyes from the lovely view. Different 'Aartis' and 'Bhog' are offered to the deity at seven different times of the day. 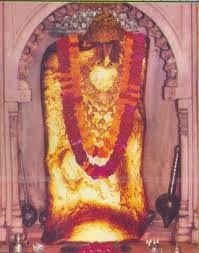 The idol of Lord Govind Dev Ji was brought by Maharaja Sawai Jai Singh II from Vrindavan to his own palace, Surya Mahal. The king was inspired by a dream, in which Lord Krishna told him to install the idol in his palace, to save it from being destroyed by the Mughal Emperor Aurangzeb. Later, he built his new palace, Chandra Mahal, which became his residence. 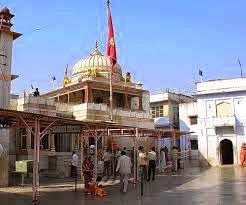 The Govind Dev Ji temple is a part of the City Palace, which was the seat of the Maharaja of Jaipur. The temple is surrounded by beautiful gardens and inside it, one can see some beautiful European chandeliers and paintings in Indian art. The ceiling of the temple is decked with gold. The position of the temple allowed a direct view of it to the Maharaja from his Chandra Mahal palace. 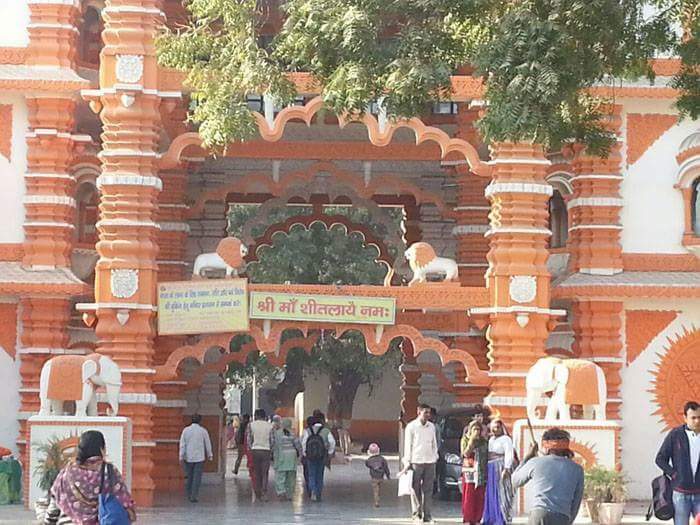 By Road : There are many public and private vehicles available to reach Govind Dev Ji Temple in Jaipur. By Rail: The Nearest Railway station is Jaipur junction. By Air: The Nearest Air Port is Jaipur Air Port. 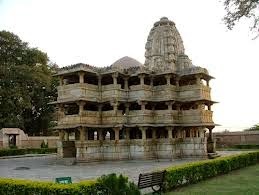 Here is Some information about Menal(Shiv)Temple in Bhilwara Rajasthan india. 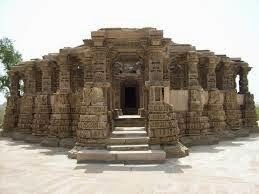 Menal Temple is located about 40 km from Bhilwara and its near by Mandalgarh. Menal is a famous picnic around this area. 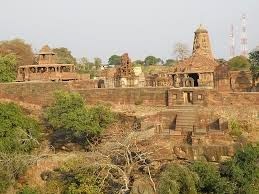 According to the people this is used to be the mountain retreat of the great Raja Prithviraj Chauhan.On the banks of river a beautiful temples of Lord Shiva during 12th century. People comes here to take a holy dip on occasions Amawas and Poornima in the months of Magh and Kartik. On the occassion of Shivratri a huge fair takes place dedicated to lord Shiva. Prithviraj Chauhana, who also ruled Delhi for a while, had set his heart on Menal, and it became his favourite mountain retreat when the scorching Rajasthan summer would set in. For this he built a palace on the banks of the Menal river which runs over granite slabs before finally plunging into a gorge over 122 meters deep. The entrance to the mansion is via a two storeyed gateway carved with images of the gods Ganesha and Bhairava. 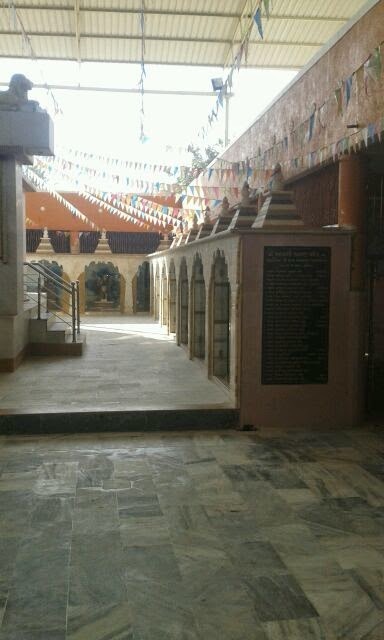 The square courtyard beyond the entrance houses a huge Shiva temple of stone, built in the ancient Hindu style with a carved pagoda and pillars. The walls of the temple are carved with motifs of Hindu dieties and various other themes, interspersed with images of elephants. of special mention are the images of Shiva and Parvati which form the chief subject of the engravings. Shiva and Parvati are depicted in various postures and surrounded by dancers, musicians, lesser gods and animals. Halfway up the pagoda is a large stone lion, perhaps depicting victory. A number of smaller ruined temples lie around the Shiva temple. 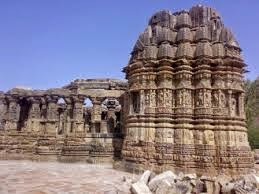 The 11th century Mahanaleshvara temple is a perfect example of the western Indian style of stone temple architecture. 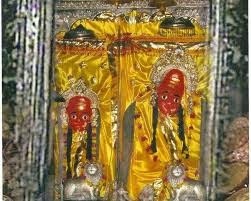 Here is some information about Kiradu Temple in Hathma Rajasthan india. Location: 39km from Barmer city in Hathma village. Best time to Visit: October toMarch. 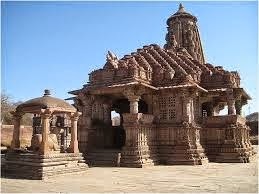 The Kiradu temples is situated near the village Hathma about 43 km away from the Barmer region in Rajasthan. The inscriptions dating back to 1161 AD reveal that the ancient name of this place was Kiratakupa and was once the capital of the Punwars. The temples were built around c. 1000 AD and later. The temples represent the zenith of the Gurjara-Pratihara sub-style of the Nagara or North Indian Style of Temple Architecture. 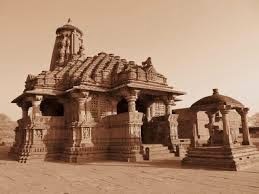 There are five temples in all and most remarkable and biggest of them is Someshvara Temple - dedicated to Lord Shiva.The temple complex was constructed from sandstone. 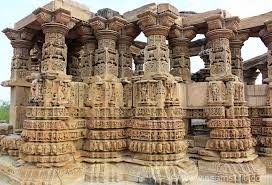 The columns, capitals, cornices, column reliefs, ceilings…….each nook and corner is intricately carved and depicts scenes from the epics ” Ramayana and Mahabharata” and the incarnations of “Lord Vishnu“. There are elaborate carvings of elephant and horse riders, war scenes and scenes from routine life of people. The larger of the surviving ruins is supposedly a dance hall for the king ‘s entertainment. There are carvings at places, of dinosaur look-alike and creatures with dragon-face too. According to history kiradu temple is about 1000 years old temple.It was a complex of about 108 temples of which ruins of five survive. 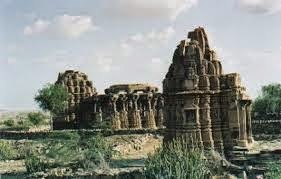 Muslim invaders raided, defaced the statues of Gods, mutilated the female figurines and destroyed the temple complex to pieces.The largest and the most impressive amongst them is the Someshvara Temple. Built in the 11th century, the Someshvara ancient temple is said to be the best example of its kind today. Constructed in honour of Lord Shiva (the Destroyer in the holy trinity of Hindu gods), it has a rather stumpy multi-turreted tower and beautiful sculptures dedicated to the god. The inner sanctum has a resplendent image of the Lord. At its base, is a large reverse-curve lotus, which has a resemblance with the early Chola Temples of south India. This ancient temple also depicts scenes from the Hindu epic Ramayana. Other notable features are sculptures of apsaras (mythical dancing girls from the abode of the Gods) and vyalas (a griffin-like mythical beast generally associated with the Buddha) which were rarely seen after 1050AD in temple architecture. 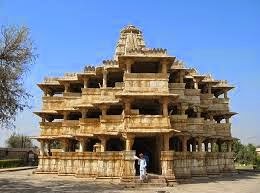 All in all, although Barmer is a bit out of the way you’ll get your money’s worth when you visit Someshvara.The Vishnu temple of this group has the sanctum and the mandapa of which only the cubicle and the pillars of the central octagon have remained. 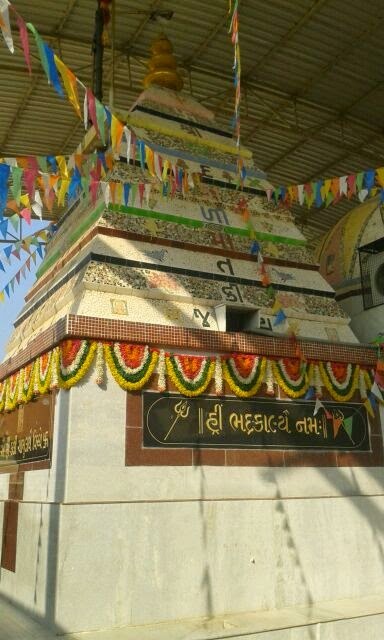 The temple stands over an elaborately built plinth. The pancharatha or five-faceted walls of the sanctum are built over the plinth. Only a few mini-spires are left of the multi-turreted spire or sikhara. The central pillar is left of the large open mandapa. The base of the beam is octagonal in shape and features a figure of apsara or heavenly maiden. 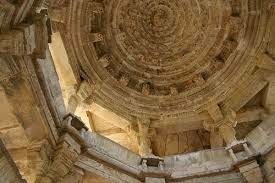 They are similar in style to the figure from Baroli in southwest of Kota.The temple of Somesvara is dedicated to Lord Shiva. The sanctum of this temple is also five-faceted. The plinth has moldings and jadyakumbha or inverted cymarecta. The figurative bands or the tharas featuring elephants, horses and human beings are notable. The jangha or the middle portion of the wall is the rupadhara or figurative band, which is placed below the niche.The niche is of bigger size on the bhadra or the cardinal facet to place a bigger image. The multi-turreted spire is no more. The half annulets below the vases have dainty foliage patterns. The toranas or decorated arches span over the spaces between the pillars are no more. The decoration on the exterior of the mandapa is equally elegant and varied. The notable are the scenes of combat and palace life, kaudakapalik rites and scenes from the Ramayana and from everyday life. 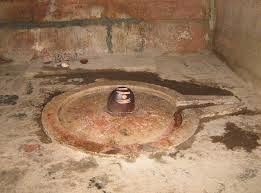 There are other three smaller Shiva temples. Architecturally they are not so beautiful but some sculptural depictions of ritual eroticism, temple building, Bhishma Pitamah lying on a couch of arrows and scenes from daily life, such as a group of acrobats are worth noticing. By Road: There are many public and private transport available to reach kiralu temple. By Air: The Nearest Air Port is Jaipur. 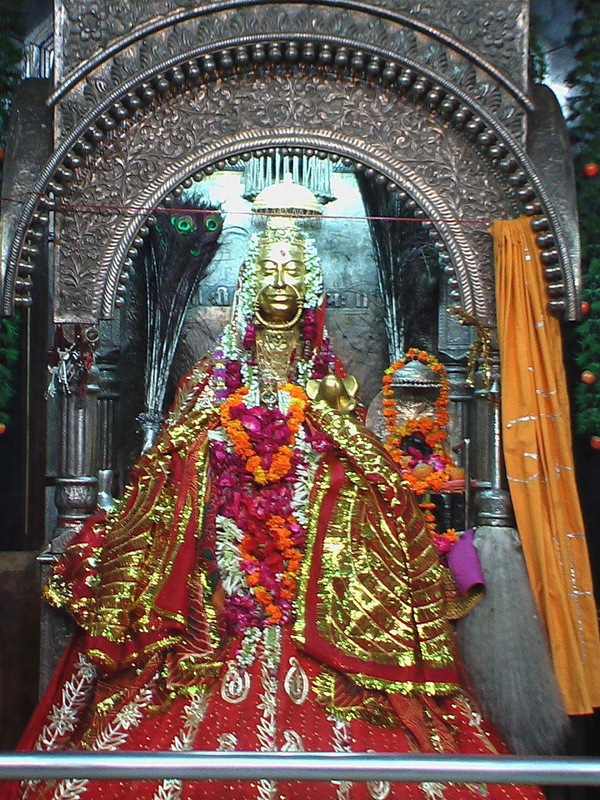 Here is some information about Kaila Devi Temple in Karauli(Kaila Village) Rajasthan india. Location: on the banks of the Kalisil river in kaila village Karauli district Rajasthan. 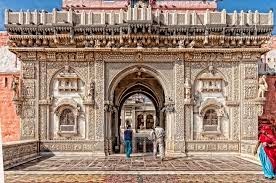 Built By: Princely Jadaun Rajput rulers of the Karauli empire. Nearest Air Port: Kheria Airport, Agra (127 km) and Jaipur Sanganer Airport (160 km). 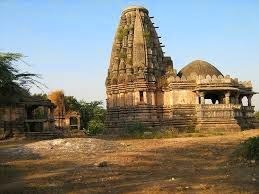 The Kaila Devi temple is located on the banks of Kalisil river in the hills of Trikut in kaila village near Karauli in rajasthan.The temple is dedicated to goddesh kaila devi.The temple is devoted to the tutelary deity, goddess Kaila, of the erstwhile princely rulers of the Karauli state. It is marble structures with a large courtyard of a checkered floor.In one place are a number of red flags planted by devotees.A fair known as Kaila Devi Fair is held here every year in the month of Chaitra, starting from Chaitra Budi 12 and lasting for a fortnight.The temple built by the princely Jadaun Rajput rulers of the Karauli empire. Constructed with the expensive marble, it has a large courtyard with checked floor. The statues of Kaila Devi and Chamunda Devi are the main attraction of the temple. They are seen sitting together. It is to be noted that the statue of Kaila Devi is bigger and her head is slightly bend down. There are number of red flag placed by devotees in the temple. Annual Kaila devi fair is organised at the temple in the month of Chaitra. 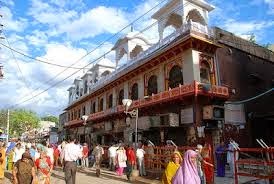 Officially, the town of Karauli was founded in 1348 by another Yaduvanshi Rajput, Maharaja Arjun Dev Yadav. The town was strategically located to ensure natural defense. To the north and east of the town are ravines while a huge wall was built on all other sides, to protect it from charging armies. 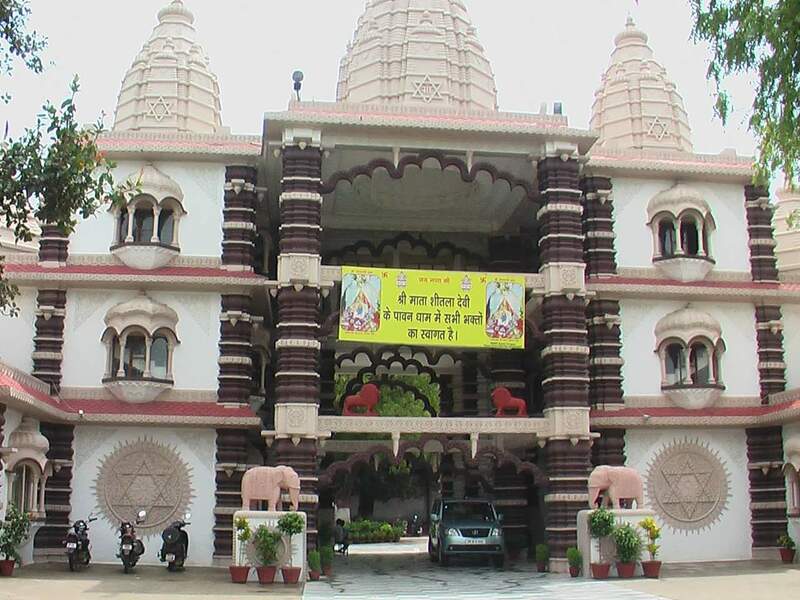 Karauli is associated with many historical happenings. The main village in Karauli is called Mandrail. This village is famous for the battle of Mandrail which was fought by Raja Puranmal, the king of Amer, in 1534 AD. At the time when India became independent in 1947, Karauli was under the rule of Maharaja Ganesh Pal Deo. Later, this town merged with the union of India and became part of Indian state of Rajasthan. 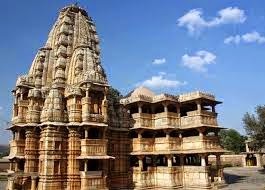 By Road: Karauli is located about 160 km away from Jaipur and you may avail public/private buses or local taxis to reachKaila Devi Temple. By Air : The Nearest Air Port is Kheria Airport, Agra (127 km) and Jaipur Sanganer Airport (160 km). 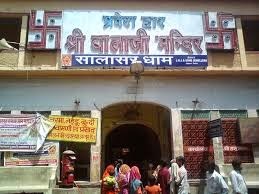 Here is some information about salasar balaji Temple in salasar Rajasthan india. 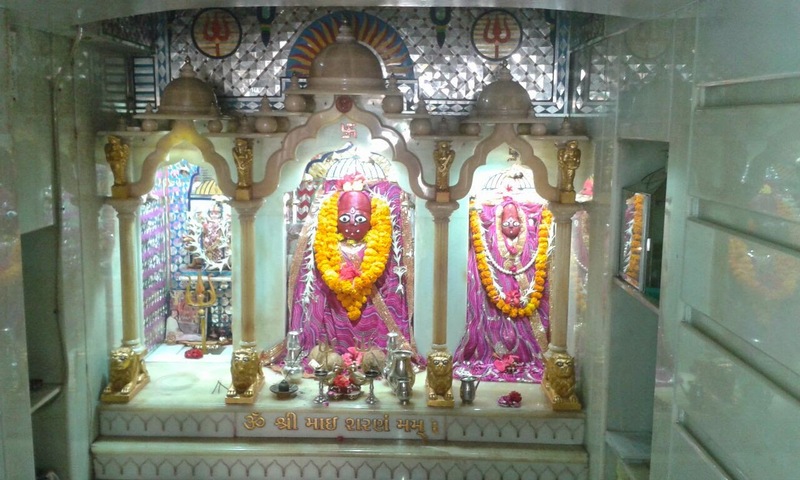 Salasar balaji temple is in district Churu Situated at Jaipur -Bikaner highway Rajasthan. 57 kilometres from Sikar and 24 kilometers from Sujangarh.Salasar Balaji is a temple dedicated to Lord Hanuman. Salasar Balaji is considered to be a Shakti Sthal.The temple is quite big and is made up of Gold and Silver. The temple is of very high importance and is visited by millions of devotees every year.It attracts innumerable Indian worshipers throughout the year. 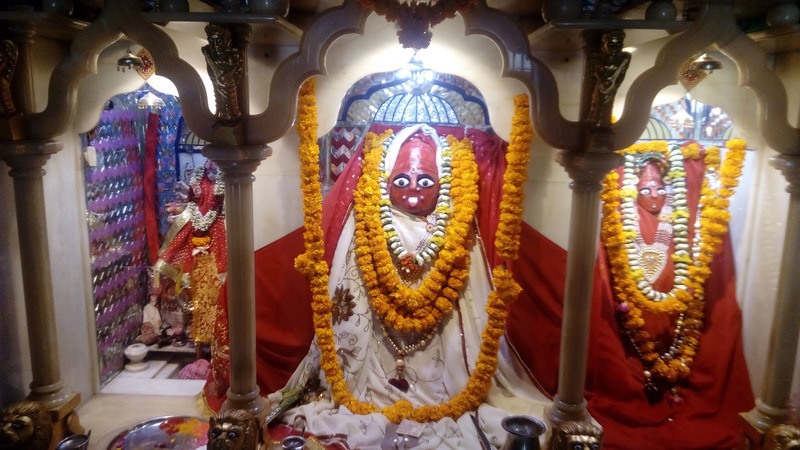 On Chaitra Purnima and Ashvin Purnima large fairs are organized every year with millions of devotees visiting here to pay their homage to the deity. The temple area is electrifying almost everyday and experiances crowds beyond normal at festivals. The market is congested with the temple walls joint with other private properties of others. A double lane street runs all the way to the other side of entry passing from in front of the temple with private residence and shops on either side. These shops are mainly, hotels, Prasad and gifts and spices shops. The temple is built in around 3000-4000 square meter area (this is only a visual estimate) which is congested within to accommodate a large pilgrimage. 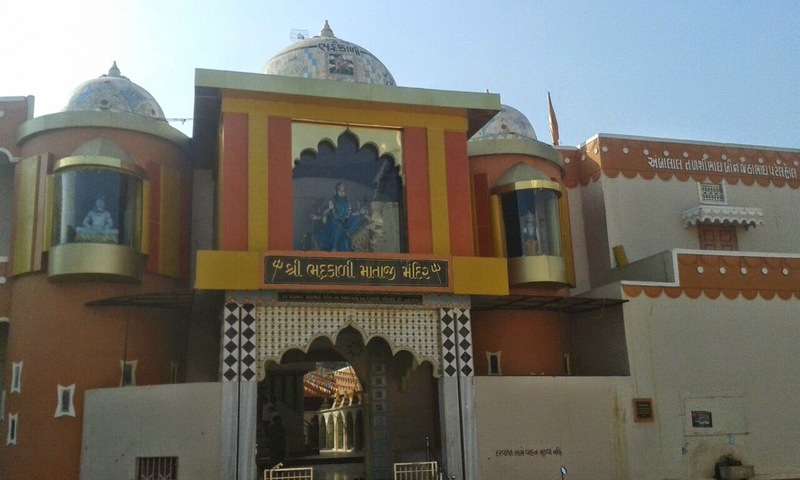 Though the general construction of the Salasar Balaji Temple is done with regular bricks and cement and marble, however within the central area, more and more are, specially the walls and ceiling is getting covered up with embossed silver plates of Shri Hanuman figures. 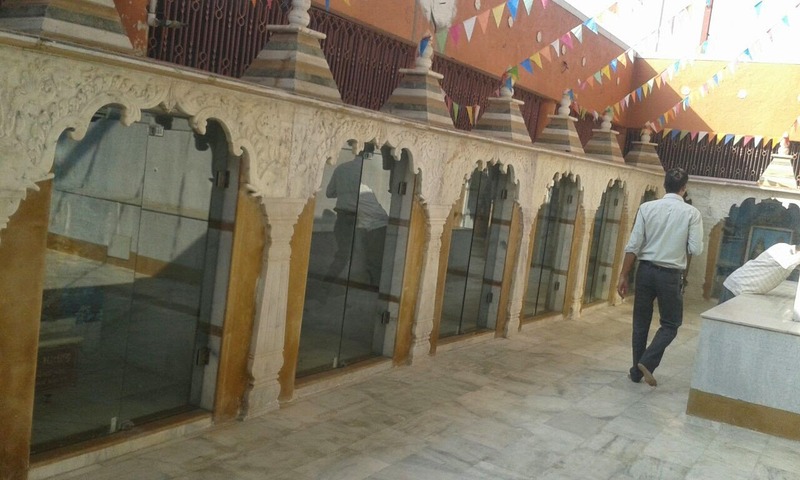 Read about the complete construction and look of the Salasar Balaji temple and the market outside. 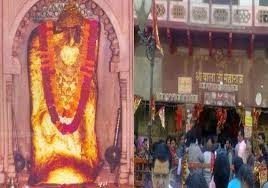 The news of appearance of Lord Balaji spread in the village Asota immediately the Thakur of Asota also heard the news. 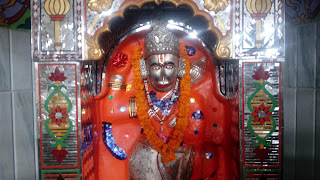 At the same night a devotee of Lord Hanuman, Mean Das of Salasar saw Lord Hanuman or Balaji in dream. Lord Balaji told him about the idol of asota. He immediately send a message to Thakur of Asota. The thakur became surprised - How Mohandasji knew minor details without coming Asota Certainly it was a kindness of Lord Balaji .The idol then sent to Salasar and was fixed there. That is now Salasar Dham. 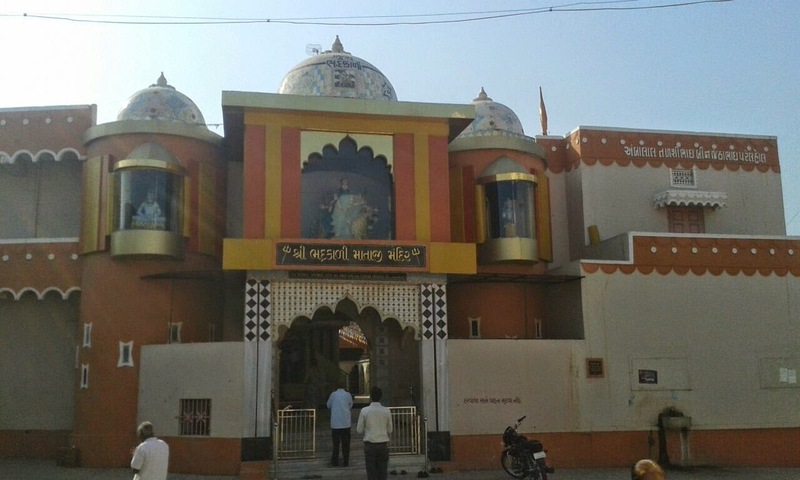 By Road: There are many private transport to reach sarla balaji temple and many mejar city connected to sarla. By Air : The Nearest Airport is Jaipur. 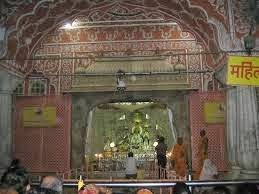 Here is Some Information about Karni Mata Temple in Deshnok Bikaner Rajasthan india. 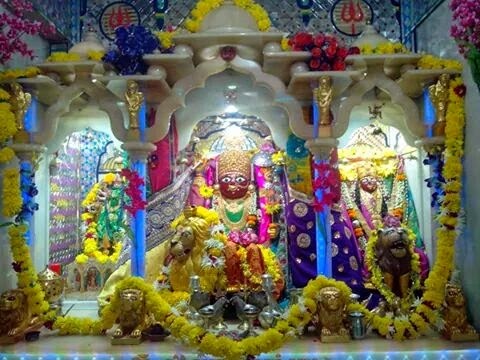 Karni Mata temple is located in Deshnok nera bikaner.The temple is Dedicated Hindu Goddesh Karni mata.The temple is dedicated to an early 15th century mystic, considered to be a reincarnation of Goddess Durga. 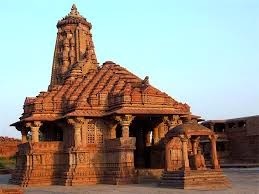 This temple is quite famous for a large number of brown rats running around the temple complex fearlessly. It is believed that the souls of dead Charans reside in these rats. It is considered very lucky to spot a rat in the temple. 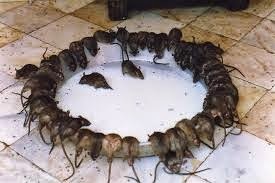 During the time of aarti, these rats are offered sweets, grains, etc by the devotees.Karni Mata Mandir is easily accessible by regular buses from Bikaner and Jodhpur. To ensure a comfortable journey, one can also opt for taxis that can be availed from anywhere in Rajasthan. The temple is dedicated to Goddess Karni, who is regarded as the incarnation of Maa Durga. In the 14th century, Goddess Karni is said to have lived and performed many miracles during her existence. Karni Mata was a mystic, who led a virtuous life committed to the service of the poor and the oppressed of all communities. The goddess is said to have laid the foundation of Deshnoke. As per the stories, once when her youngest son drowned, Goddess Karni asked Yama (the god of death) to bring him back to life. Lord Yama replied that he could not return her son's life. Thus, Karni Mata, being an incarnation of Goddess Durga, restored the life of her son. At this point of time, she announced that her family members would die no longer; in fact they would incarnate in the form of rats (kabas) and ultimately, these rats would come back as the members of her family. 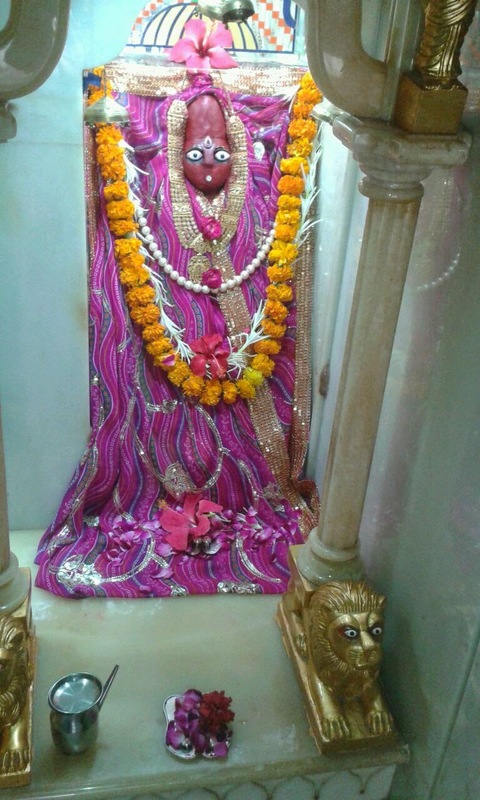 In Deshnok, there are around 600 families that assert to be the descendants of Karni Mata. 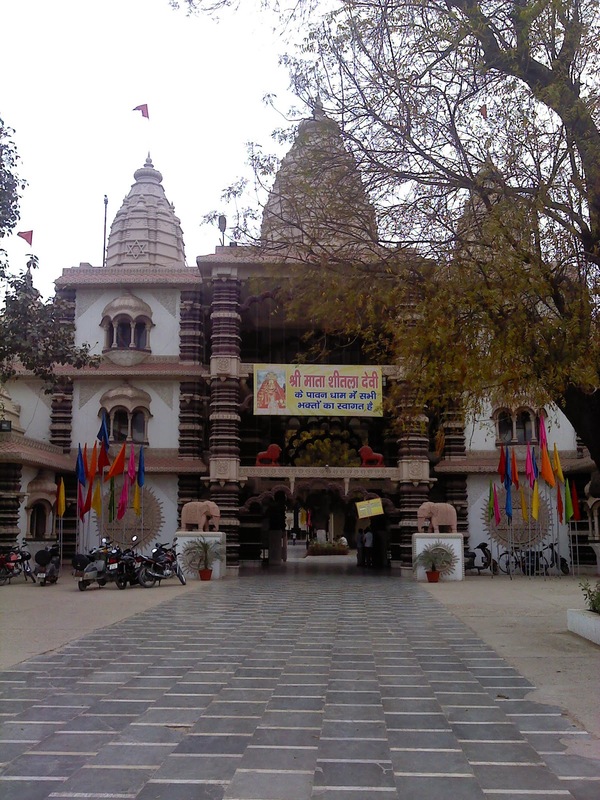 Deshnok's Karnimata Temple is the only claim to fame of the small desert town of Deshnok. 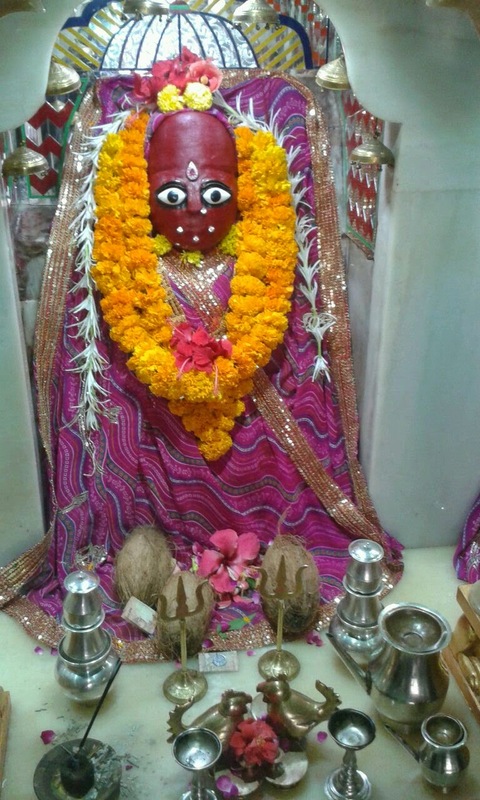 Karni Mata was held in great reverence by the local people who were mostly bards. Karni was born at the Suvap village and was married off to Depa. The foundation of Deshnok is credited to Karni Mata. Karni won the hearts of the inhabitants of Deshnok by her efforts to uplift and serve the downtrodden and the marginalized in a selfless way. If the legends are to be given any credence, then there is reason to believe that Karni Mata laid the foundation stones of the Jodhpur and Bikaner forts. 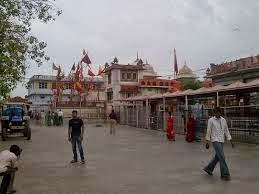 The sanctum sanctorum of the Karnimata Temple, it is believed by many, was founded by Karni herself. Karni Mata Fair is held twice a year at Deshnok, a small town near Nokha in Bikaner district. The first and larger fair is held in March-April during the Navratras from Chaitra Shukla Ekam to Chaitra Shukla Dashmi which attracts hordes of pilgrims from places far the near. The second fair is held in September-October, also during the Navratras, from Ashvin Shukla to Ashwin Shukla Dashmi. 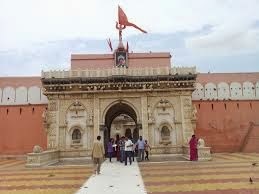 The Karni Mata temple is thronged not only by the Rajasthanis. Rather, devotees from all over India and even abroad pay a visit to the temple. 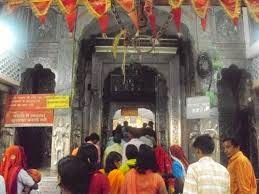 Day by day, the faith in Karni Mata is increasing, attracting more and more devotees to the place. Whenever the wishes of the devotees get fulfilled, they offer silver and gold to the goddess at the temple. 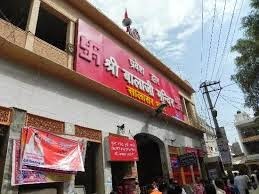 By Road: Karni Mata can be reached easily from Bikaner and all major places by a wide network of roads.Private transport available reach to Karni Mata Temple. By Rail : The Nearest Railway station is Bikaner.(22Km). By Air : The Nearest Airport is Bikner. (22 Km). Here is Some Information about Parahera Temple in Banswara Rajasthan India. The Parahera Temple is located in 22 km from Banswara in rajasthan india.The temple is Dedicated to Lord Shiva.The temple is Built on the bank of Nagela tank, the temple has an inscription that provides valuable information on the Paramara rulers.This Lord Shiva Temple around Naturally atmosphere and anciant place.you must visit this temple.In this temple oldest shivling of hundu devoates lord shiva. Lord shiva is main devoate in hindu gods. 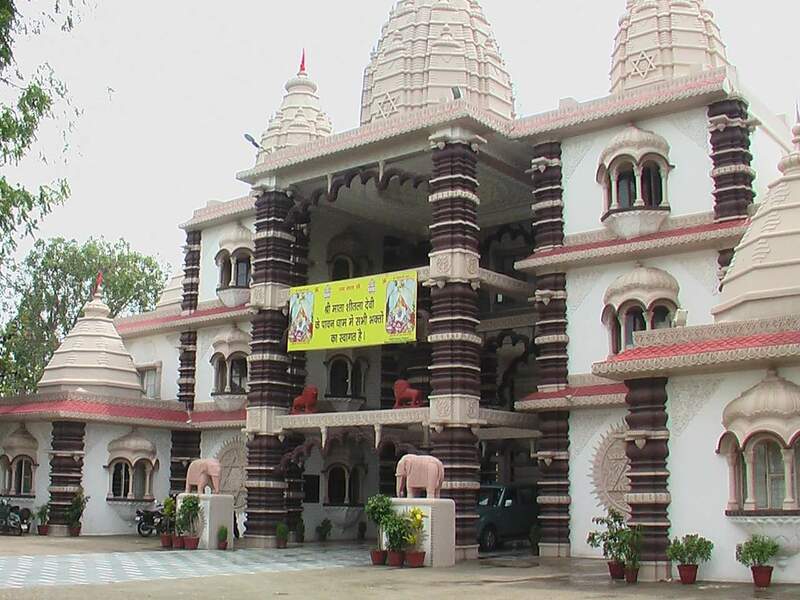 By Road: There are many private transport availabel reach to Banswara parahera temple. By Rail: The NearestRailway station is Banswara junction. By Air: The Nearest Airport is Jaipur Airport. 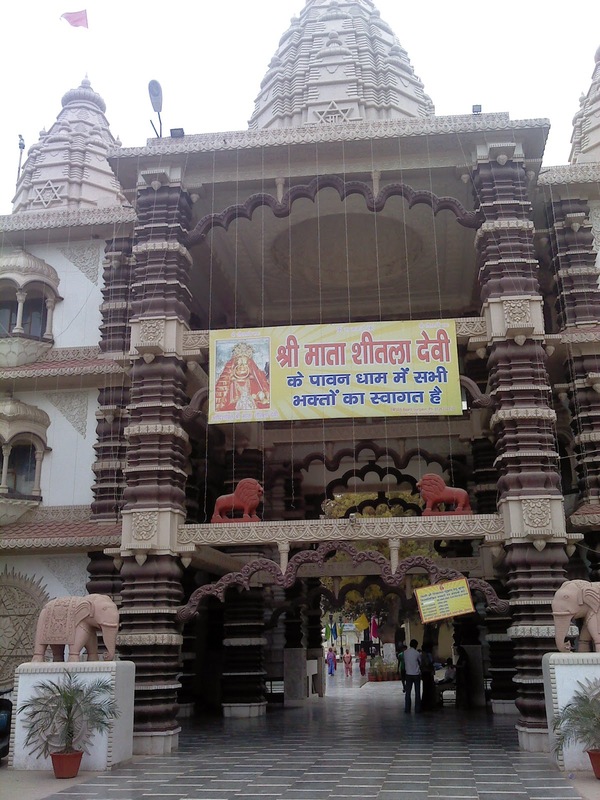 Here is Some information about Mehandipur balaji Temple in Dausa Rajasthan India. 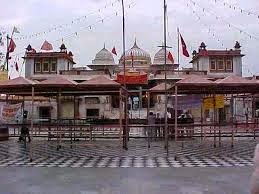 The Mehandipur balaji Temple is located in dausa district in rajasthan india.This temple is dedicated to Hindu Devoates Lord hanuman.Mehandipur Balaji Temple is the temple of Lord Hanuman who believed to to cure the difficulty "Sankat" and provides knowledge "Riddi and Siddi". According to the legends, 1000 years back images of lord Shri Balaji, Shri Pretraj Sarkar and Shri Bhairav dev appeared in Aravali hills through chamatkar. Shrine of Balaji, Court of Pret Raja, Pooja griha, Bhairav ji temple and Ram Darbar are some famous and popular spots to visit in this temple. 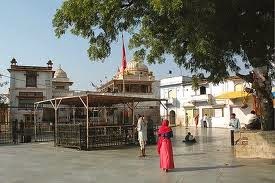 Balaji temple at Mehandipur in Rajasthan is very Powerful place. It is believed that the deity in this temple has divine power to cure a person possessed with evil spirit.Hundreds of 'Sankatwalas', as the possessed people are refereed to in local lingo, throng to the temple everyday to offer prayers and have 'darshan'. The temple has also become a home and the last respite for the victims.The 'Mahant' of the temple, Shri Kishor Puri Ji, prescribes the treatment. It can include reading holy texts, following a strict vegetarian and simple diet, and even afflicts physical pain to one's body. 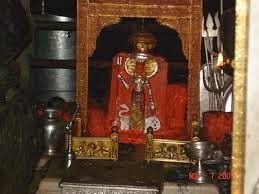 According to history Mehandipur balaji Temple is about 1000 thousand years old.The idol was 1000 years old.The story behind the Shri Balaji temple explained thet ancestors of Shri Mahant ji saw the three dieties in the dreams with a magnificent temple. He also heard voice which was ordering him to ready for serving his duty. All of a sudden Lord Shri Balaji appeared before him and ordered "Take duty of serving me". After that incident ancestors started worshipping by performing pua and arti regularly. 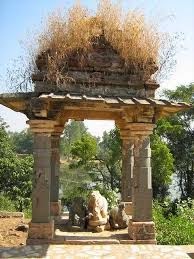 Once upon a time some miscreants tried to dig out the deity but they could not reach the bottom of the statue as it is the part of the hill " Kanak Bhoodharakar Shareera". It is also known that the water pot in the feet of the diety never dried up due to continuous flow of water from left side of chest of statue of lord Shri Balaji . The fantastic places of visiting for the devotees who come to Mehandipur Balaji Temple are Nilkanth Mahadev Temple, Mataji Ka Mandir, Pratap Vatika and Kaila Devi Temple. 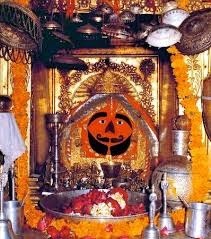 Some other interesting facts are Court of Pret Raja, Pooja griha; Bhairav ji temple and Ram Darbar which are some of the spots worth seeing here. 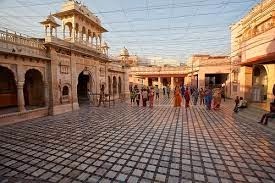 The Mehandipur Balaji Temple at Dausa involves many charitable activities like providing food to the disabled and fodder to the cattle, etc. 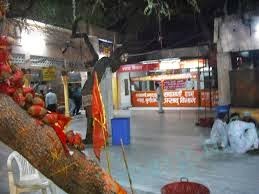 By Road: Mehandipur Balaji is well connected to All major cities of North India .There is very frequent service of buses on Agra Jaipur highway. The journey can be performed by car from delhi either via Alwar-Mahwa or mathura-Bharatpur-mahwa. 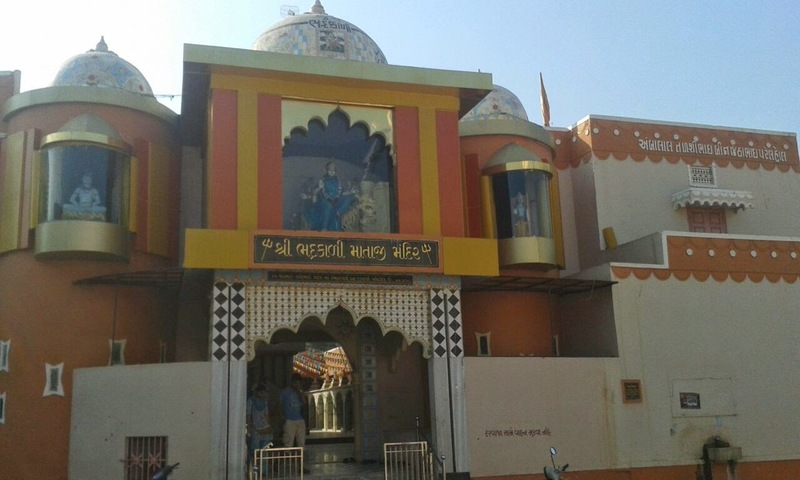 Here is Some information about Bhadrakali Temple in Bhadran Gujarat india. Location: In anand district borsad taluka village bhadran. Goddesh Bhadrakali Temple bhadran is located in anand district borsad taluka village in Bhadran.There is one of the very o ld temple in Bhadran village.The temples hight is about 80 ft.In this temple a very faimous hanuman temple,jalaram temple,ram temple also.In this temple many hindu devots and goddesh small temples also.During navratri people plays garba,dandiya very happiness and huge crouded place.during this festival the temple decorate colourful lighting.each day goddesh bhadrakali darshan different ornaments and colourful dresses.In this temple has a big Merrage hall and party plot.Many merrages function celebrate in this temple.according to history the idol of goddesh bhadrakali was make autometic and sit in temple.His blessing all bhadran village and people hartly doing a pooja goddesh bhadrakali.Each humans requairnment success do goddesh bhadrakali.jay ma bhadrakali. By Road: There are Many road transport connected bhadran.many praivate transport reach bhadran. By Rail: The Nearest Railway station is Vadodra and Anand. By Air: The Nearest local Airport is Vadodra and International airport is Ahmedabad.